Here’s some good news: I recently hit a new author milestone when I published my 15th book in 24 years! 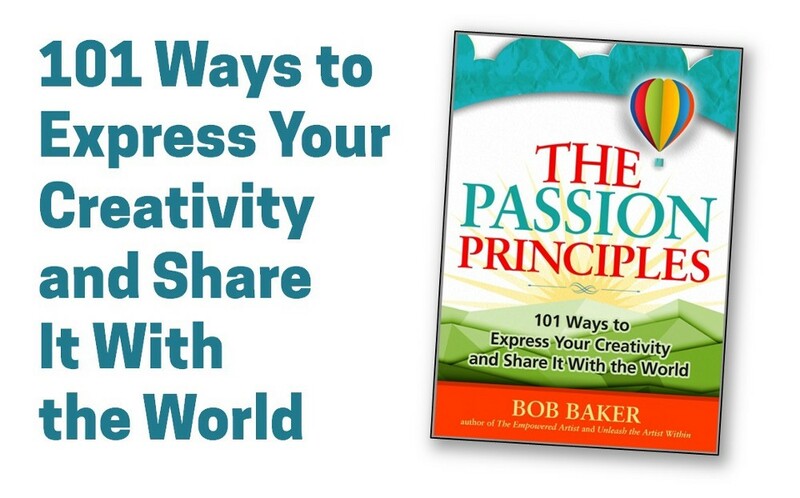 It’s called The Passion Principles: 101 Ways to Express Your Creativity and Share It With the World. That last link will direct you to Amazon in whatever country you’re in. If you’re a musician, writer, visual artist, actor, designer, chef, performer, or any other type of creative entrepreneur, you’ll find a feast of bite-sized principles throughout these pages. By design, this book does not go in depth with career strategies or business tactics. Its purpose is to provide you with a comprehensive collection of the best nuggets of wisdom for artists of all kinds. Perfect for the time-starved creative person. These are the philosophies and activities that the most successful creative people embrace. You’d do well to consider them and incorporate them into your own life. Section 1, which includes principles 1-48, covers best practices related to the creative process and the internal issues that most artists confront on a regular basis. Section 2, which includes principles 49-101, offers a wide range of ways to share, promote, and sell your creative output, as well as grow a fan base. You can view a samples from the book on Medium here. Just so you know, all of my Patreon supporters at the $5 per month level or above got a PDF version of the book at no cost! It’s my way of thanking them for being a patron. I’m excited about the potential this new book has to change lives and empower creative people around the world – which, as you know, is my life’s mission. Thank you for fueling that mission!